More capital and more control no longer equal success. When any entrepreneur can figure out a way to make life easier, better or more fun for humans, then hire a few developers to leverage open source and platform APIs to build applications in a few weeks, and with little to modest investment suddenly change the game – we find ourselves in the digital economy on a level playing field unlike any we’ve seen in history. This extends beyond geographies – beyond categories – and in the new world where things are as easily “networked” as people – beyond the insidious separation of connected things and people. The humanization of automation is extraordinary. Consider the personal assistants, the bots. Consider Siri, developing relationships with her humans. Consider Alexa, deepening her understanding of how her connected humans wish for her to serve them. Consider Cortana, guiding individual contributors and teams toward meeting their goals at “the office” which is no longer the specific physical location it once was. 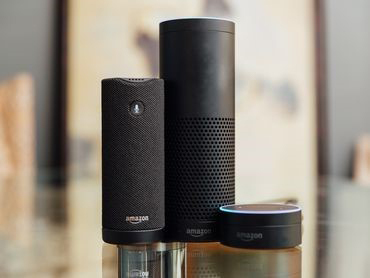 At a time when certain pundits were predicting the death of voice technologies, our team at Kandy knew voice – the human voice – would rule in a new way the next generation. Established just over two years ago and since then empowering thousands of individual developers and entrepreneurs, while on the other side of the spectrum enabling massive companies like SAP and IBM to make apps more human, Kandy is at the forefront of blending up human and machine communications to make life easier and better. We see three areas of technology where adding and enhancing the human connection with real-time communications capabilities will play a major role in shaping the communications industry in 2017. We believe that the opportunity and growth of Messaging Bots will be huge in 2017. Bots create a more personalized content experience for the end users. As Artificial Intelligence (AI) and cognitive technologies mature, they will be integrated into the basic fabric of the Bot enabling faster, more efficient delivery of both personalized and informative content. Our Kandy communications platform provides the "conduit" for Bots to communicate with and escalate to human interaction seamlessly on any device via our Live Support Wrapper. The Kandy Platform can be easily "Bolted On" a carrier's network to connect chat Bots (and developers) via APIs and Wrappers (preconfigured apps such as Concierge, Live Support, etc.). The Internet of Things (IoT) and the Human Connection with Real-Time Communications (RTC) will also continue to rapidly grow. There will be major progress made in the ability to solve problems and create superior user experiences by seamlessly integrating business processes and communications between knowledge workers, AI and bots and people. Without the human element you are left with just …"Big Data" and "Things". Adding applications (for health care, retail, banking, security, etc.) and the human element into the solution requires Real-Time Communications (RTC) to ensure messages are delivered, understood, and/or correctly and efficiently acted upon. We think the industry has made great strides in the area of Cognitive technology. 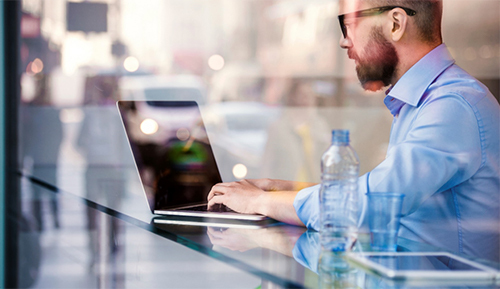 Unified Communications and Collaboration (UC&C) is rapidly entering the business/enterprise environment and as such employees will be utilizing tools to ensure they have instant access to their content, co-workers, and their customers. The next step is to introduce Cognitive technology/solutions (e.g. IBM's Watson) to the mix. Interacting with Cognitive technology enables the UC&C solution to analyze and interpret (understand), provide personalized recommendations (reason), grow expertise (learn), and engage in dialog (Interacting with apps such as Kandy's Live Support). All of these areas will continue to see improvement, allowing entrepreneurs to create even more amazing solutions where machines and humans interact intuitively, while also opening the door for enterprises to turn their advantages (large customer bases, available capital) to introduce premium services at scale. Here’s to the makers, the hackers, the inventors, the developers, the dreamers and the doers who understand that all roads may not lead to Rome, but at the intersection of connected things and humans, all roads can lead to a better, more productive digital economy.